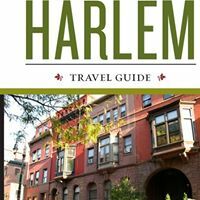 Walk with us in our beautiful Central Harlem neighborhood on Saturday & Sunday, October 6th and 7th, 2012 from 12PM to 6PM. The tour features the work of over 80 artists living and working in Harlem. Enjoy a relaxing weekend and discover new artwork, galleries and meet artists from Harlem’s vibrant art scene. Casa Frela Gallery, located at 47 West 119th Street, is the starting point where maps will be distributed to tour participants. The maps highlight the various stops on the walking tour including open artist studios, museums, and cultural and historic venues. All forms of art will be featured including sculptures, ceramics, painting, photographs, etchings and prints and textiles.